Our own self build project is well underway and local company, Kudos, have been asked to manufacture and erect the timber frame. 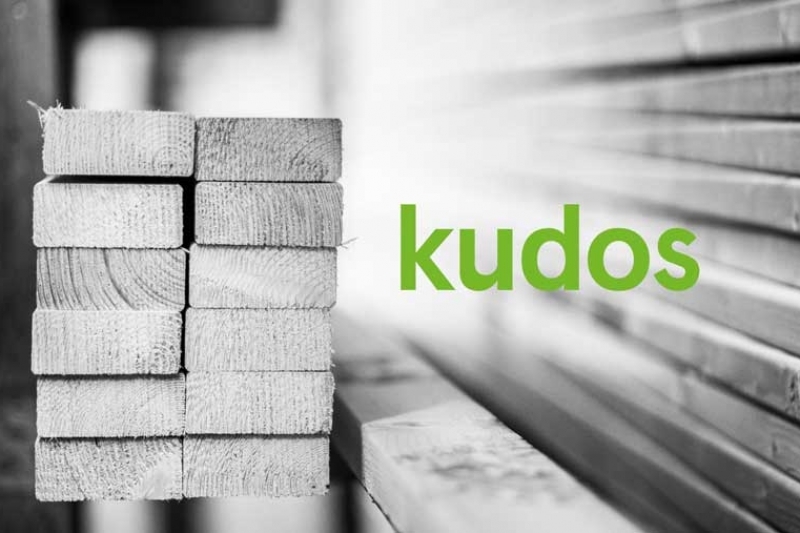 Kudos specialise in atmospherically controlled, energy efficient, homes and have a reputation for using the finest timber frame technologies to create high performance, low energy properties on time and on budget. 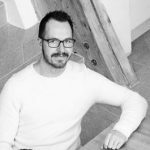 With over 50 years experience in the construction industry and 20 years specialising in timber frame, there’s nobody better suited to answer some of the most frequently asked questions about this building method. How does timber frame perform acoustically compared to a block built house? Building Control within the last few years set minimum requirements for the acoustic performance of each element of a domestic dwelling. 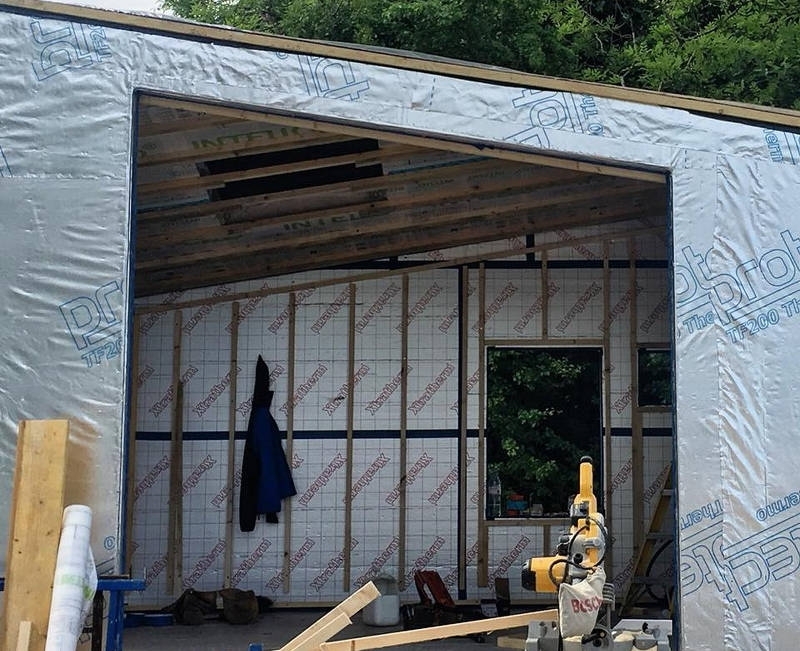 For a timber frame internal wall that will comprise an 89mm timber stud with 1 layer of plasterboard each side and a sound absorption insulation placed between the studs. In a first or second floor it is a 22mm floor lining and again a sound absorption insulation placed between the joists.However, while these are minimum standards our clients quite often look to improve on this and that will be dependent upon their budget. With timber frame it is so easy to add extra layers of plasterboard or OSB to the internal walls. We often will pick out specific walls that require attention depending on the use of the rooms adjacent to each other say TV room to a bedroom. In a floor, more clients are opting to pour a screed so they can utilise Under floor heating and this will add further sound deadening qualities to the home. At KUDOS we believe there is a balance here – it would be unwise with younger children and security issues to make a house sound proof but on the same hand you do not want to hear clearly from room to room. Can a timber frame extension be built onto a block built house? Yes – timber frame is simply an alternative method of construction. 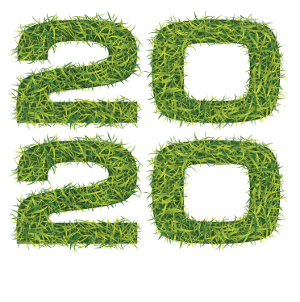 Clients often find that it gives them a lot more flexibility especially in design and specification / finishes where it may not be necessary to use an external block leaf. 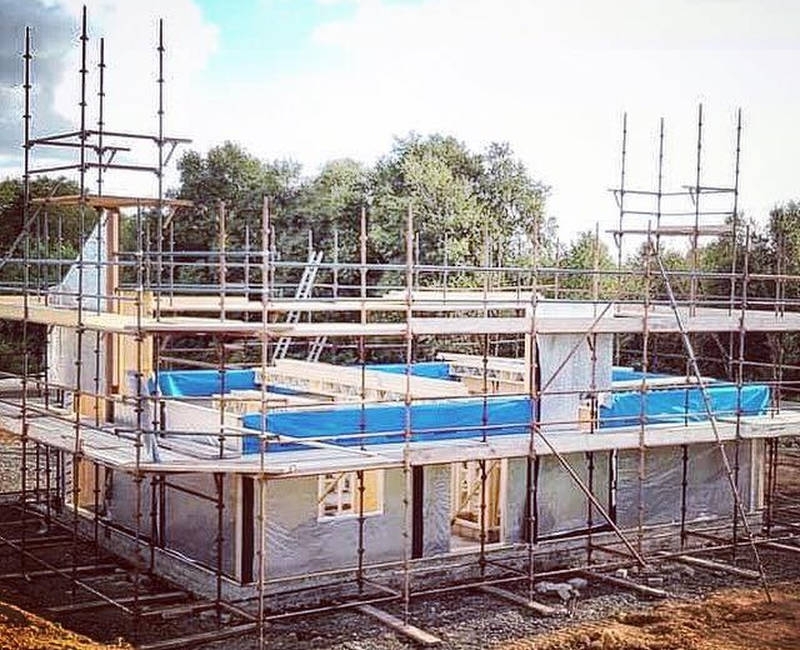 Also timber frames are normally built off site and craned into position – However, it is also possible to simply build directly on site, specifically where there are any access issues and it is generally easier to get timber onto the site. Lastly separate free standing extensions linked to an existing house are very popular as the timber frame section will generally outperform the rest of the house. Is there any additional maintenance required for a timber frame house? There is no more requirement for maintenance in a timber frame house as a conventional house. There is nothing further you need to do outside of normal upkeep of a home. What are the benefits of factory-built timber frame over site-constructed timber frame? The main benefits are quality, both in accuracy and workmanship. 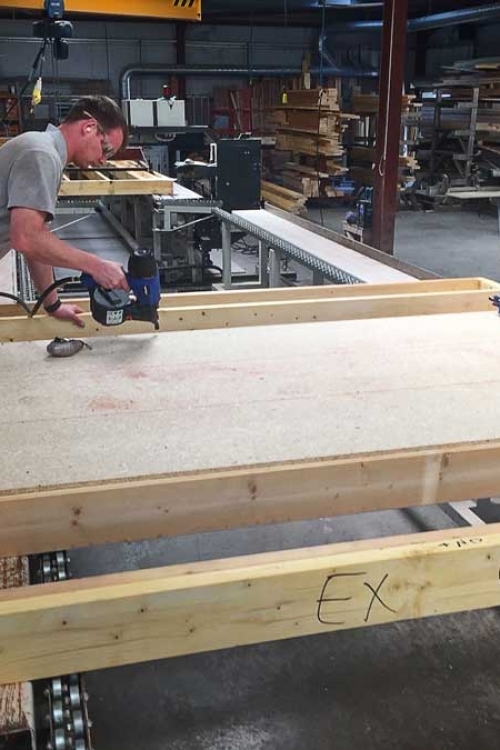 All our timber frames are designed using a specific software and then cut on a CNC saw which has a tolerance of 0.3mm. The majority of the panels are then assembled on a line with automated squaring and nailing. 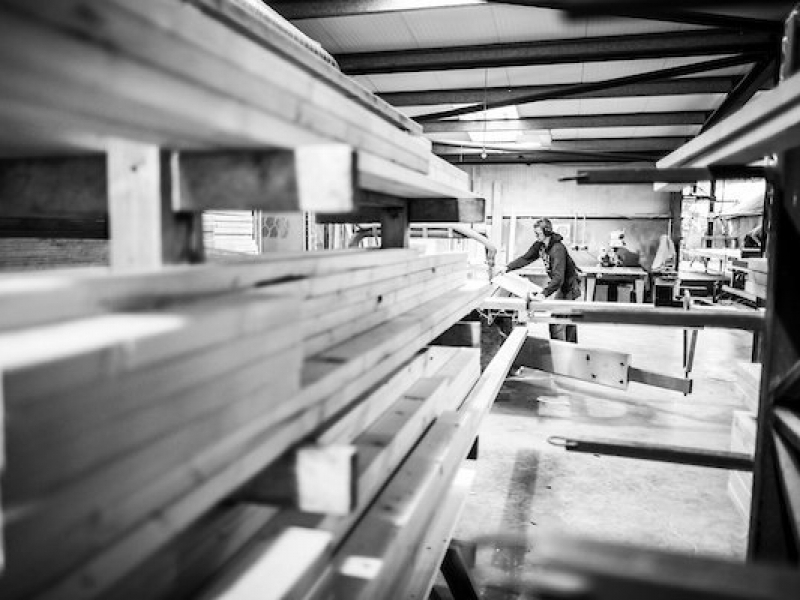 Lastly, our factory joiners are not affected by difficult weather conditions that can often be experienced on site. What are the main advantages of timber frame over traditional block building? Some I have already mentioned above in accuracy and quality of workmanship. However, we at KUDOS believe the main advantage is the pure performance and therefore feel of the building to live in. Our buildings are warm in winter, cool in summer. They are highly insulated, breathable and air tightened. There is a ambience to a KUDOS home that cannot be experienced in a conventional building. Is timber frame much quicker to construct than block? Yes and no – Initially a timber frame goes up very quickly and therefore you can very quickly get the size, shape and proportion of the home. However, in the way we build our houses and how we programme the air tightness (which is critical to the performance of the home) we tend to delay the first fix mechanical and electrical works to make sure this has been completed to the optimum and an air test completed. Having said that, there are several ways that timber frame construction can speed up the overall build process. 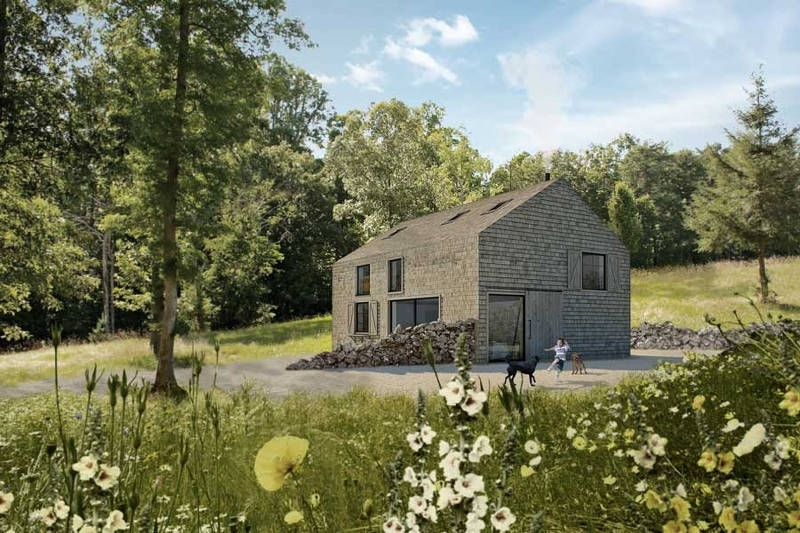 As the structural frame is manufactured in the workshop, adverse weather does not have the same detrimental affect on timescales, as it would do if blockwork was being built on site. If the outside of the frame is being clad in timber or cement board, the windows can be ordered off the plans and be made at the same time as the frame, reducing construction time by a number of weeks. As the frame is made under factory conditions and to very strict tolerances, you can be sure of the opening sizes, whereas typically windows can not be ordered in a block house until the walls are built and the openings measured. Due to the factory construction of the frame and the fact that one company is responsible for the complete structure and roof, the subsequent trades can also be more accurately programmed into the build, speeding up the overall process. Do you recommend blocks or cement board on the outside of the frame? From a looks or performance point of view it does not matter as it is simply a rain screen to protect the timber frame internal leaf. However, blockwork at present is still the most economical way to construct a weather screen on a timber frame building largely due to the cost of the plaster on the cement board. We have though constructed both methods. Are there any issues with regards mortgages or insurance for timber frame? Mortgages and Insurance is dealt with exactly the same as any other form of construction where a leaf of blockwork is used on the outside leaf. If your construction is more forward thinking ie. Providing a different external leaf, with this becoming more commonplace insurers will act accordingly. What is the typical lifespan of a timber frame house? Longevity of buildings is vital to what we do. 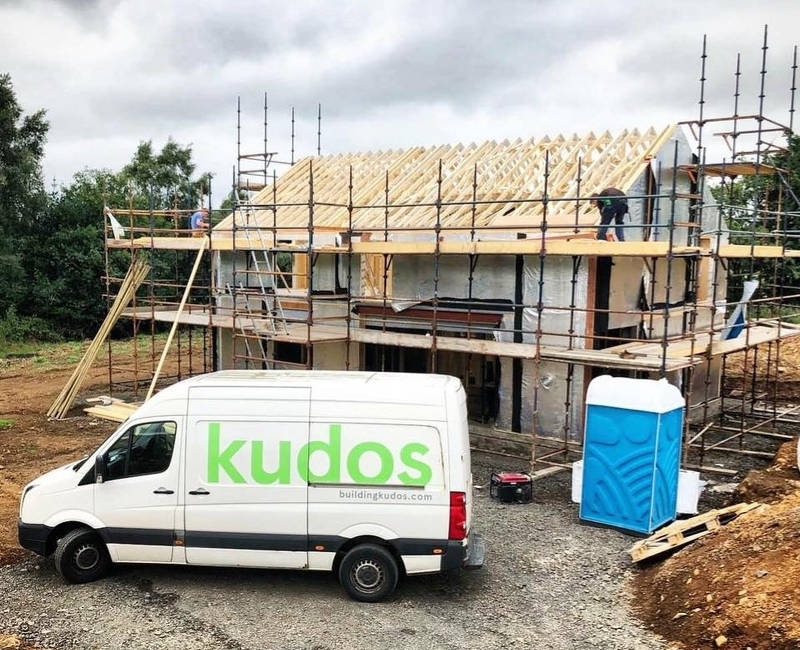 At KUDOS we build houses to last for centuries. This is largely due to how we put the building together. All of our systems are breathable which means moisture has the ability to migrate from the building – the majority of which will move just after construction and then during the life of the building. A timber frame which is breathable, ventilated and kept dry will outlast all other methods of construction. How does timber frame compare to block built with regards construction cost? If you build a conventional home to perform at the same levels as a KUDOS home then the conventional home should be more expensive. However, if you build to today’s Building Control requirements our timber frame will be more expensive. Is there a greater risk with regards fire? In short no. It is generally always the contents of any building that go on fire not the form of construction. In a fire though timber will maintain its integrity for a longer period of time than say blockwork which crumbles after a fire reaches a particular temperature. 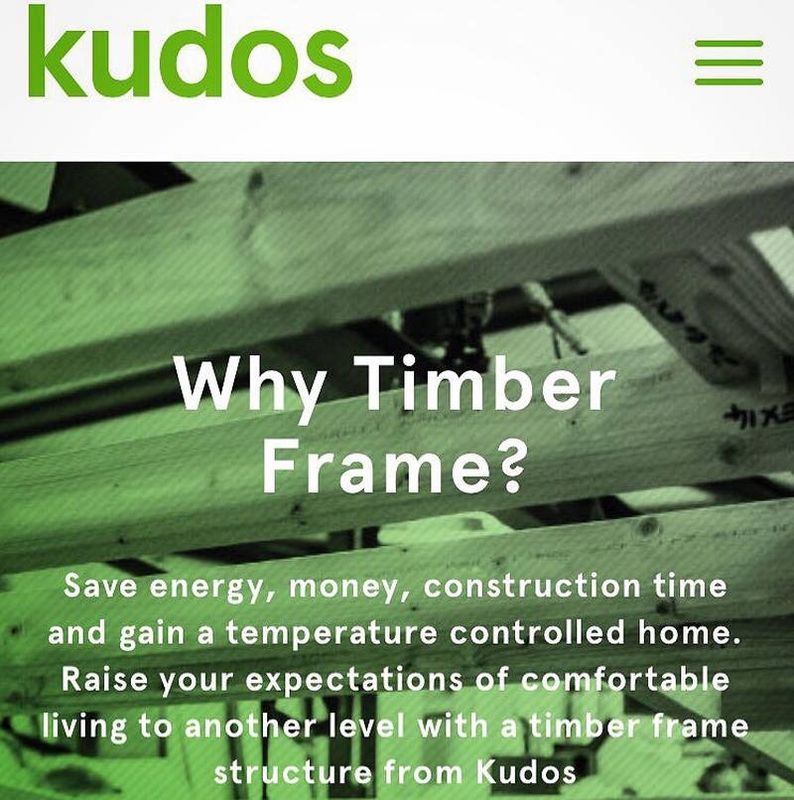 If you would like to find out more about timber frame technology or have a project you’d like to chat about, get in touch with the guys at Kudos on 028 9083 8951 or hello@buildingkudos.com.